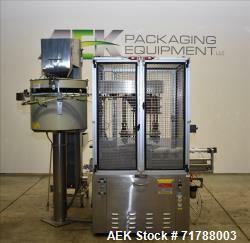 Aaron Kendell Packaging Equipment (AEK) has a large inventory of reconditioned, unused, and used aerosol tip inserters. If you are looking to sell your used aerosol tip inserter submit a request online or contact KC Christensen at 630-238-2660. Used- Terco Rotary Tipper, Model RT-150. 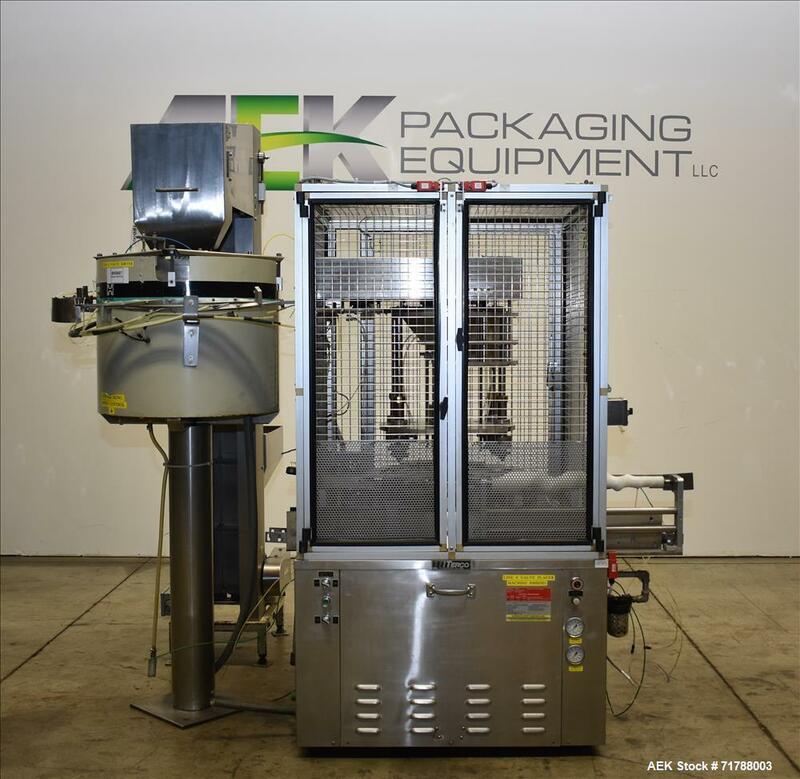 System includes: stainless steel Terco-made elevator and Hoppman centrifugal bowl sorter, model FR/20. Unit has a 6-up head for speeds up to 150 containers per minute. Wormscrew to starwheel-type indexing. Unit has an XP rated design & variable drive system. Stainless steel construction and enclosure. Last used on cosmetic aerosol products. 3/60/480V.